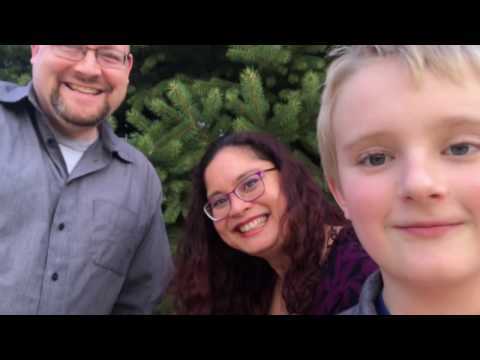 Jordan & Marie Foote and their adopted children, Megan & Micah, are raising funds for their return to Costa Rica, doing Christian missions work and business. They are in Costa Rica to come alongside Latino Christians who are going to the Middle & Far East to reach the world with the Gospel through business creation & mentoring, which naturally leads to discipleship and empowering of the Costa Rican church to "go into all the world." They are starting a coffee company, Café Feliz, for this multi-layered purpose. They are in need of funds to cover the costs of their return to Costa Rica and to pay off medical bills they incurred during the past three years, due to health complications. Why are business owners raising support? The Footes were sent to Costa Rica by US churches to start a business & ministry in Costa Rica, at the invitation of Costa Rican missions leaders who knew that business is an effective way to send a workforce into the unreached world. Because of this, the Footes are serving as missionaries (living on donated support by a team of faithful givers) and are now also owners and operators of a new business, Café Feliz, in partnership with Santamaría Gourmet Coffee (owned by Costa Rican brothers in Christ and partners in business & ministry). Jordan & Marie chose prayerfully to invest some of their personal funds to start Café Feliz instead of immediately going down the investor or venture capital route. Their current, monthly support goes towards their needs to live and work effectively in Costa Rica: housing, a modest salary, transportation, medical insurance, social security, retirement and taxes - all the things they would need if living in the United States! While the business is still in its beginning and building season, the Footes will continue to rely on donations to accomplish their work. When they have reached a recurring, sustainable income with Café Feliz, they plan to decrease their support funding in order to encourage God's givers to support other workers in the Business as Missions world just like them. Any "profits" received by Café Feliz at this time are re-invested 100% into the business growth to achieve the goal of sustainability. Café Feliz exists to serve, ultimately, the unreached and unengaged peoples of the Middle & Far East who do not yet have easy access to the life-transforming Gospel of Jesus Christ. To accomplish this, Café Feliz seeks to mobilize Costa Rican and other Latino believers into the Middle & Far East as Christian business people, trained and equipped to minister and to bring the gospel to the unreached and unengaged through business. Cafe Feliz seeks to directly and/or indirectly meet these specific needs, in the name of Jesus. We see ourselves, in a few years’ time, as a flexible, agile team of entrepreneurs who are Kingdom-minded, above all else. We make decisions, not only towards the bottom line of making a profit, but towards the eternity- focused end of having maximum impact for the life-transforming glory of God and the Gospel of Jesus Christ in the heart of every person the business brings our way. The Holy Spirit is our guide in every aspect of our day because He knows better than anyone which needs people have and how to best serve them in both tangible and intangible ways. With this being the vision at the forefront of our team’s mind, we will, Lord-willing, have stories to share of how Jesus has changed the lives of people in multiple nations: in Costa Rica, in the United States, and in the Middle & Far East because He is more faithful to fulfill the call He has placed on our lives than we can ever imagine. We transform lives worldwide, by living out the Gospel through business relationships. Photo Credit: Marie Foote. 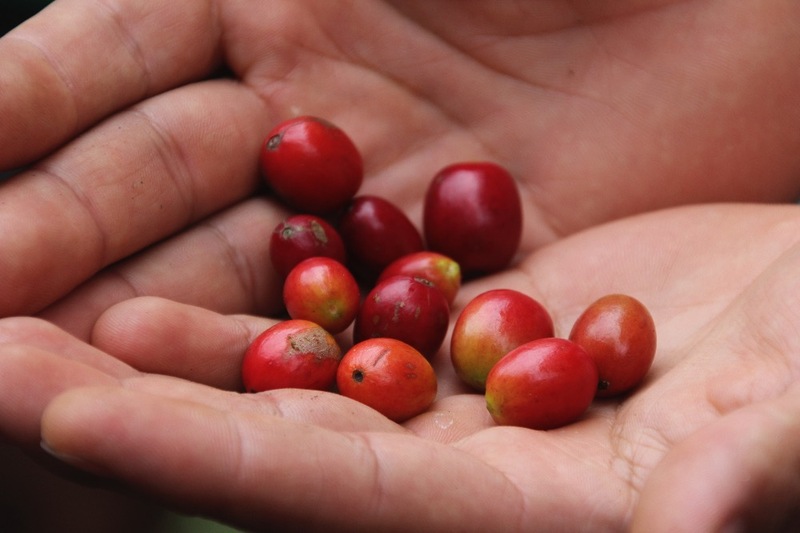 Costa Rican coffee berries. Target: Unreached and unengaged peoples of the Middle & Far East - This region of the world is where the majority of peoples of other world religions live and has been referred to by missions organizations as “the 10/40 window” or “restricted/creative access countries.” It is home to 97% of the world’s most unengaged and unreached peoples, but receives less than 1% of funding and less than 10% of the cross-cultural workers being sent out from North America. Current: The Costa Rican Church - Through a notable, but inexplicable, movement of God, Costa Ricans (as well as other Latinos) are volunteering to live in creative access countries as cross-cultural workers. However, they need creative ways to go, to stay and to maintain full funding in these hard to access countries. (Even now we are being sensitive not to mention the names of countries or specific religions to maintain the safety of those who are going and who will go). God is opening the door to these regions through business. For more info about those whom we serve - click here . 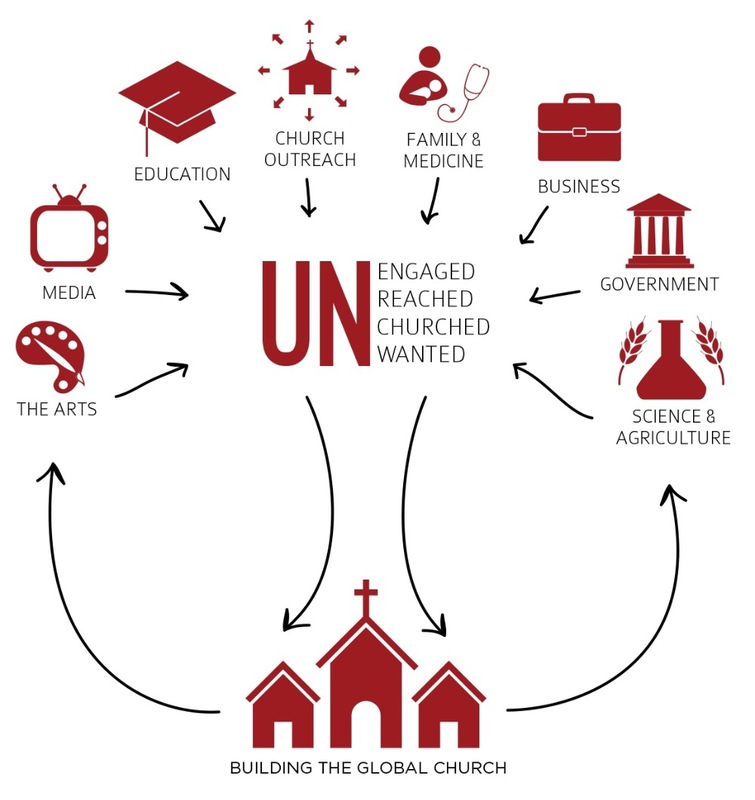 Current: The North American Church - Jordan & Marie want to influence multiple generations of non-traditional missions workers through Business as Missions in developing countries, but also in the North American church, which is underutilized and uninspired to take its place in the service of proclaiming the gospel in their business contexts. Jordan and Marie are actively asking the Lord to bring genuine revival to the North American church. The role they seek to play is to revolutionize the ways in which business people are limited to serve in missions and, in doing so, to break down the current cultural dividing line between those whose job it is to disciple people (clergy, sacred, Levitical roles) and those who “ought to” sit and listen to them disciple people, when not working at their everyday jobs (everybody else). By creating and running a truly missional business like Café Feliz, the Footes want to lead North American business professionals into a lifestyle of taking the church back from its culture, so that the Spirit of God can transform all peoples in a powerful way, both inside and outside the Church walls. For more info about those whom we serve - click here. God has been raising up many in the Latin world to go to the Middle and Far East, but there are barriers and gaps which need to be overcome. 1. They need discipleship, mentoring and training in business and in sharing their faith in culturally appropriate ways through their cross-cultural business. 2. They need a viable and legitimate mobilization platform to go into these difficult areas. 3. They need the support of a network of believers to sustain them, pray for them and encourage them as they go to the ends fo the earth. For more info about the problems and the solutions - click here . Photo credit: Marie Foote. Costa Rican roastery. 1. The Footes and Cafe Feliz are already in relationship with many in Costa Rica who are seeking the same ends. Jordan & Marie see part of their responsibility as builiding up, discipling and supporting the growth of the Latino church in the areas of sending and supporting worldwide impact. 2. The Footes are actively engaged already and seek to grow a business training program so that those who are called to go will be fully trained in buisness. They are also working to support and enhance the training being done by their Costa Rican partners in the areas of cross cultural training. 3. 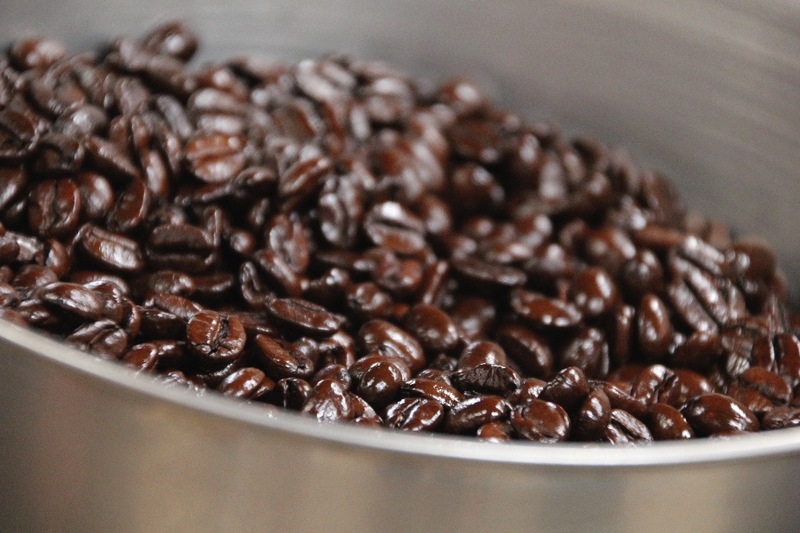 Café Feliz is currently pursuing and seeking new opportunities to sell coffee in the Middle & Far East, creating the employment and business opportunities of Latin Americans to work and live in these regions. This will create sustainable and legitimate business opportunities for the reach of the gospel in otherwise closed regions. If you are interested in ordering their coffee, you can check out their Club Café monthly coffee here. Photo credit: Jordan Foote. Nancy & Roberto Matarrita, Isaac Santamaría of Santamaría Gourmet Coffee and Templo Bíblico Bautista de Barva (church). 1. Please pray about your involvement in this project and that God would work mightly to accomplish His purpose. 3. Share it with others. Please take a moment to share this with YOUR networks on Facebook, Instagram, Twitter, Pintrest and any other platforms where this project can get in front of people. Putting in a good word for us with your friends & contacts will never hurt! The Footes are so grateful to the Lord and to you! Thank you.